If you are like me, you have lots of little vintage goodies in your house. Often little things lose their visual impact because they are so small, and then the house ends up looking cluttered. That’s why I love to use display cases. Above I’ve displayed a vintage silver spoon and an old inherited book. Next, I used the display case to showcase some French postcards I purchased on a trip to Paris along with an inherited jello mold. BTW, this is the Decor Steal of the day, so you can grab one of these beauties for yourself today. Better hurry though, they are only available today. This time, I added some vintage photos of Mr. CH’s parents. In one, his mom is standing in front of Buckingham Palace doing her best Jackie O impression well before Jackie added the “O” to her name. I also added a vintage floral frog. Lastly I simply added a few inherited vintage sewing notions. I’m not sure which one I’m gong to go with, but the fun thing is that I can change them out as often as I want, and always have a fresh look. This was another Decor Steals photo shoot. You can see more of my photos at Decor Steals today. Would you like to receive a preview of my posts in your inbox? Subscribe below. Love the way you keep and showcase. Vintages are treasures. 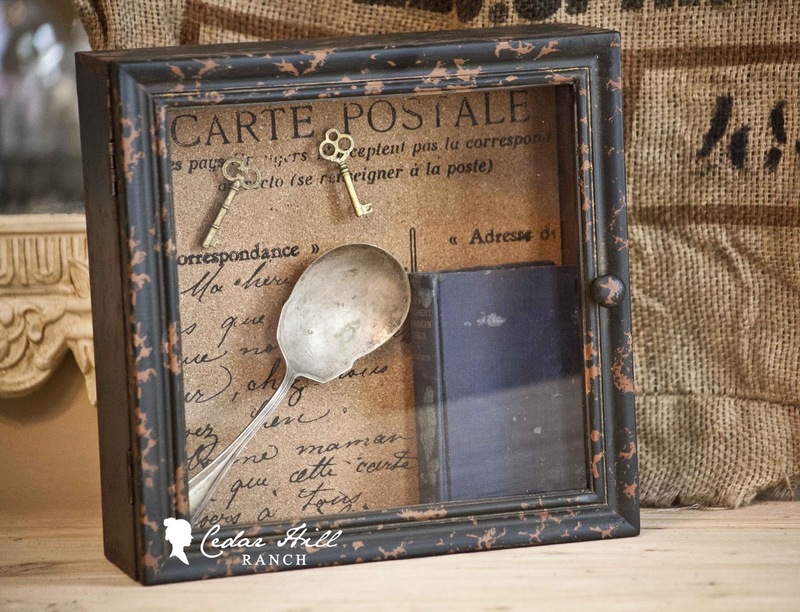 I love your style with these shadow boxes. Making a grouping like this makes me happy to just gaze at. Thank you! wow Anita, you take such awesome pictures. How did Décor Steals find you to take pictures for them? I just ordered a set of 3 little chalk boards from them. My first order fom them !!! I Actually blogged about it…. 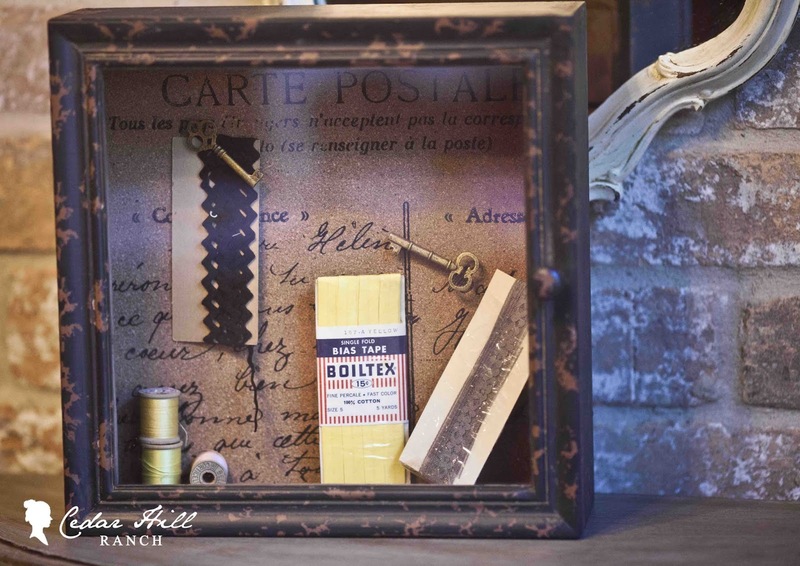 Shadow boxes like the ones you did would make wonderful gifts!!! Very creative! Hope you join TUTORIALS TIPS AND TIDBITS with this great idea! Link goes live tonight at 8:00! You did a beautiful job displaying your shadow boxes! And how meaningful to have items from your family! So pretty and a wonderful way to enjoy special treasures instead of having them hidden in a storage box! 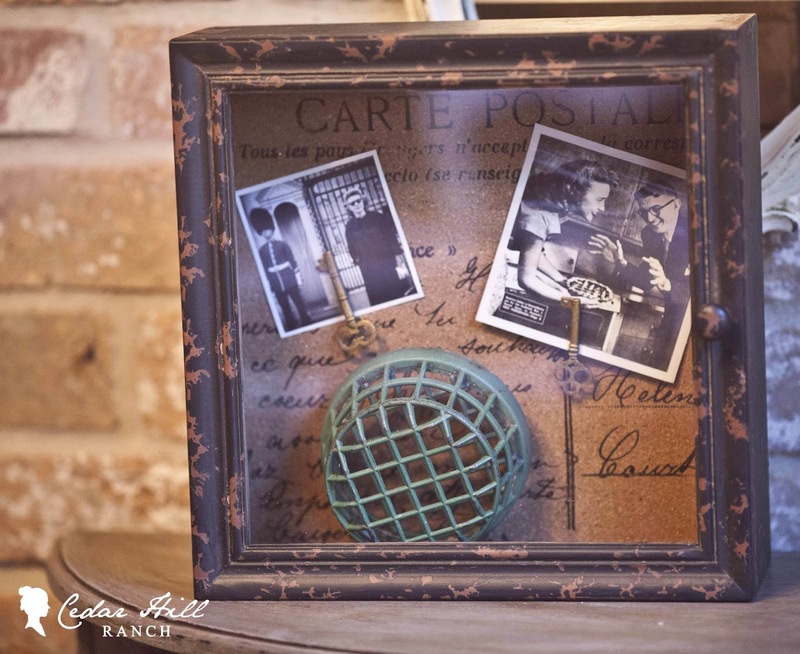 What a great idea and way to display family treasures. I have one shadow box picture frame, because I have a picture of my Mom wearing a monogram brooch and then have THAT brooch in the shadow box too. I LOVE that piece. XO, Pinky I bet I missed the sale since I am just seeing this but will go check. What a great way to display some items. I have silver baby spoons that were used for the three of us kids when we were babies. Can’t purchase anything now unfortunately, we are getting ready to move and build a new home. Great tips though and I LOVE the boxes! Have a great day Anita. Great ideas, Anita! Thanks for sharing. So true about small items. 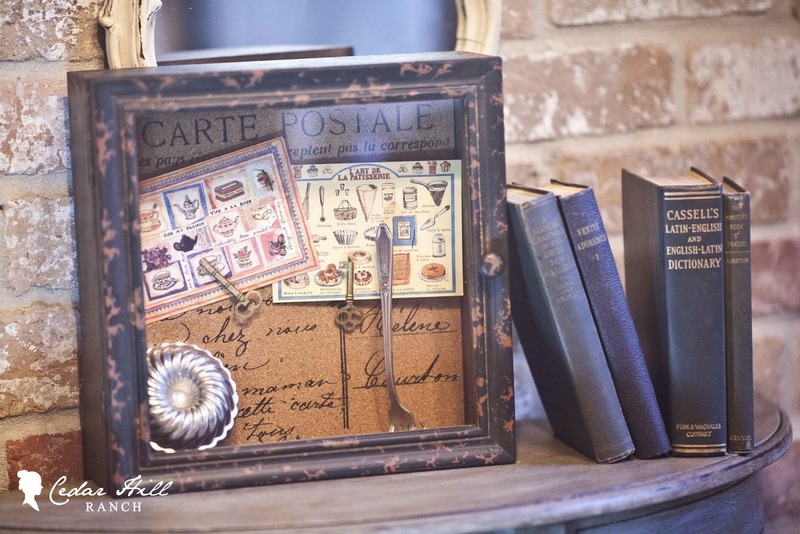 This is a great way to display them I’ve used shadowbox frames many times with family heirlooms.